The future is unfolding before our eyes each day at the Carpenter Complex and nothing beats the long ball. Today we watched first baseman Darick Hall go opposite field as he hit one out to left on Schmidt Field against the Pirates AA team. 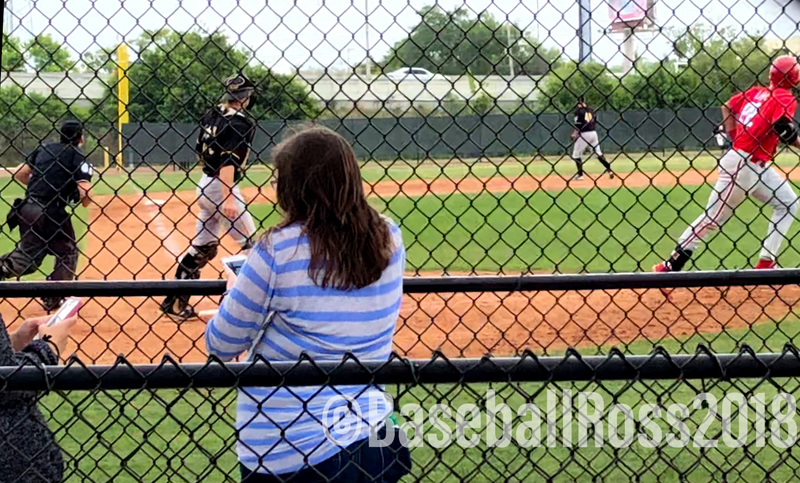 Then outfielder Carlos De La Cruz put one into the trees high over the left field fence on Roberts Field against a team from the Canadian Baseball Academy on its Florida spring training swing. Watch the De La Cruz home run HERE. It is not just the home run that is important to scoring runs. In the same AA game, center fielder Mickey Moniak lined a single to center and was driven in by a line drive triple to center by right fielder Jan Hernandez. Watch HERE. On the pitching side, Jacob Waguespack finally made his spring training debut. He pitched two innings as the starter against the Canadian team. 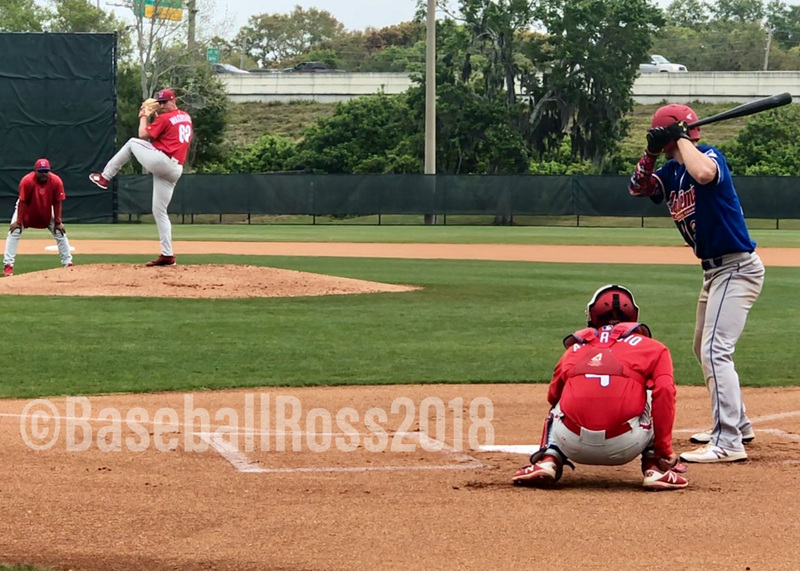 The Phillies minor league players have shown a nice balance of power hitting along with strong pitching in games this spring which will be keys to winning baseball when the minor league season opens next month. This entry was posted in 2018, March and tagged Canadian Baseball Academy, Carlos De La Cruz, Darick Hall, Jacob Waguespack, Jan Hernandez, Mickey Moniak, Philadelphia Phillies, Spring Training. Bookmark the permalink.